The land of beauty never lacks ambition. It is constantly trying to innovate, inspire and encourage people to feel beautiful. It is not unknown then that keeping in shape and staying fit is one of the most sought after concepts chased around the world. Its been decades of research and testing to find one simple solution to fight the symbiotic relationship of age and weight gain. Truth be told one size does not fit all and not one of all the innovations can rescue a expanding waistline. That said, there are plenty of ways you can achieve this by finding a product, a service and putting in lots of hard work to achieve your body goals. I’ve personally found it hardest to find a product, service or gym class that suits my not so deep pockets. Recently though I was introduced to VLCC a brand well known name in the beauty & Fitness Industry that has revolutionized itself with introducing a unique and innovate product range. SHAPE UP is one such category that combines Ayurveda with science, nature with state-of-the-art technology to offer body firming & shaping products that are clinically proven to deliver measurable results. The range includes Waist & Tummy Trim Gel, Bust Firming Cream, Anti Cellulite Oil & Gel and Chin & Neck Firming Cream. Beauty is in the eye of the beholder we are told and that beholder is the person we live within ourselves. 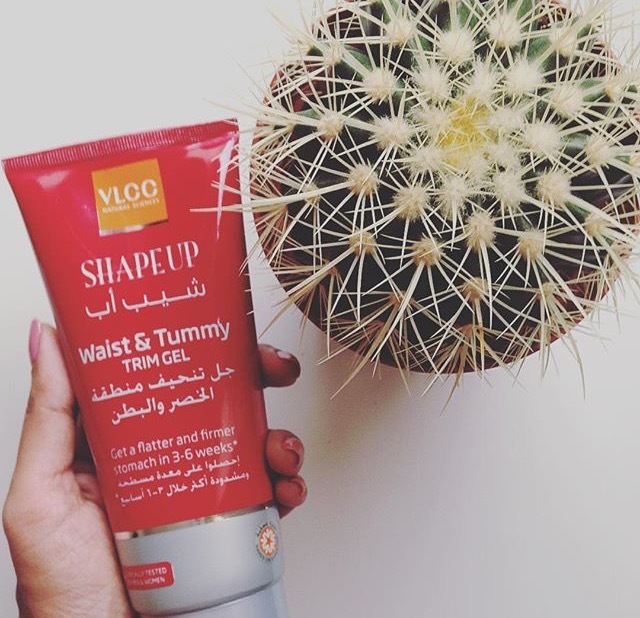 Hence completely taking maters into my own hands I have put to test the WAIST AND TUMMY TRIM GEL. This gel uses a fast absorbing Ayurveda formulation breaking down excess cellular fat around waist & tummy into consumable energy. It helps flush out extra-retained water from your system and most importantly strengthens the skin’s surface to give a flatter and firmer stomach in 3-6 weeks of usage. Application of this gel is prescribed twice a day, one just after a morning shower and the second before bedtime. Though a bit of an extra addition to my routine I manage without cheating as results is what I am chasing of course. The gel smells more like a balm and feels a bit hot while massaging it in for 5 minutes during each application. Most importantly though adopting the right food habits and weekly workouts will help burn the extra calories along with usage of the TUMMY TRIM GEL. Stay updated on the blog to find out the how much I managed to lose while following this routine and product usage.